Everybody who loves technologies want to have your own lab environment, it does not matter if it’s just to test every feature, try new releases, study, prove concepts, create scenarios, test solutions or all of those together. 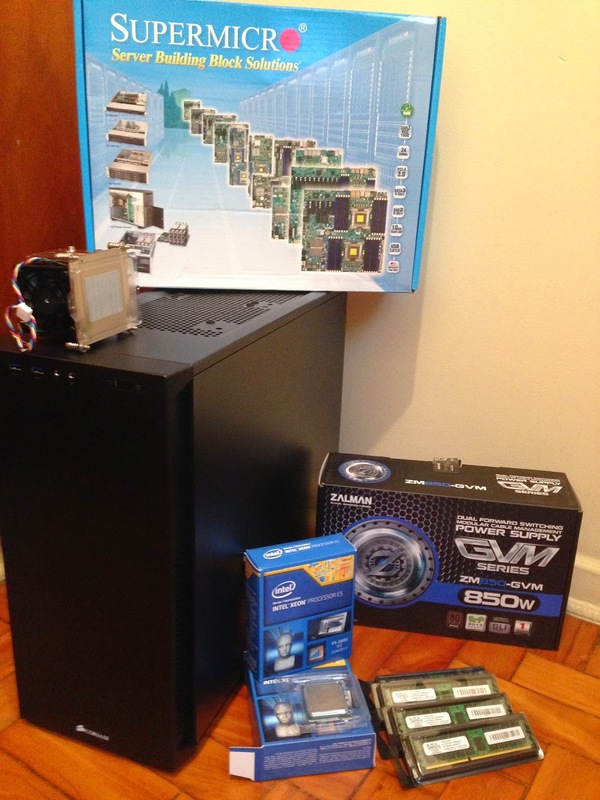 I’m not that different at all, after a long time, I finally finish building my ESXi home lab, since I did a lot of research to find out every piece of equipment I though why not to share it. - Everything on a single box. That’s it, I don’t want to pile up MAC Minis, Shuttle PC or HP Microservers. If I’m going to make an investment I want it to last and give me future upgrade options, is it not what ROI is all about? - I don’t need local storage. I have an external storage that I will present LUNs to the hosts through an iSCSI connection. 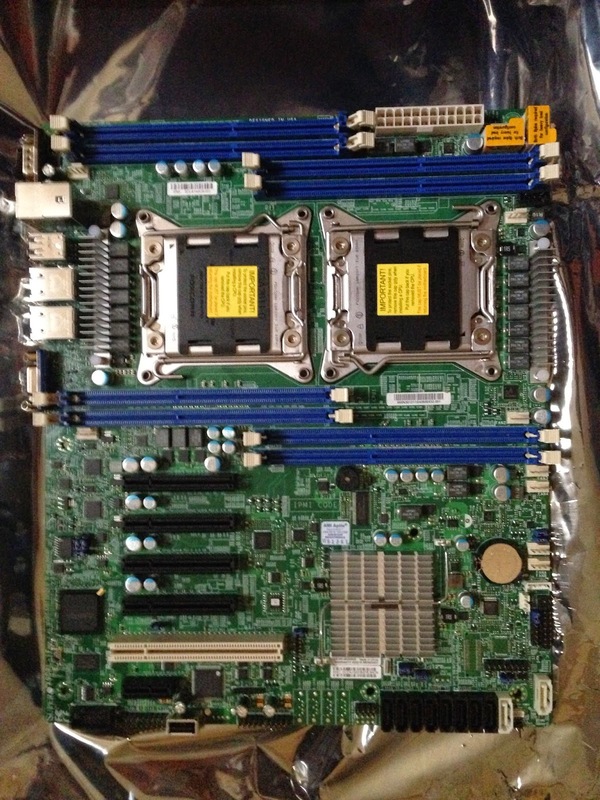 Starting with the MainBoard, I choose a Supermicro one, X9DRL-IF. Mainly, because it’s certified to run ESXi 5.5 and does not require to inject network drivers into the installer, but also because it comes with some USB ports that I used to install and boot up my ESXi host from. Another cool feature is the IPMI support, that way I don’t need to hook up any monitor to access it, I can access a remote console through the network, nice !!!! It’s a dual processor MB, supporting up to 512GB of RAM. 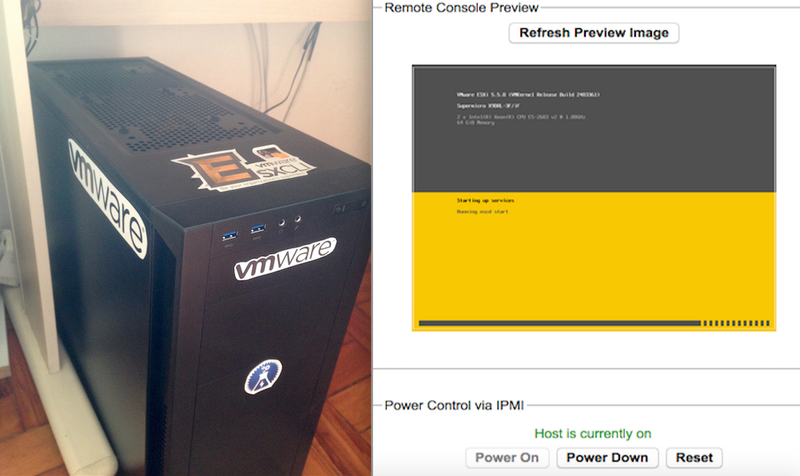 That way I can run a few Virtual ESXi hosts and simulate quite a few environments. This MB has LGA2011 socket type, it’s not the most modern processor available out there, but it’s good enough for my Lab, where I don’t need to run critical and financial applications, allowing me to save some bucks. 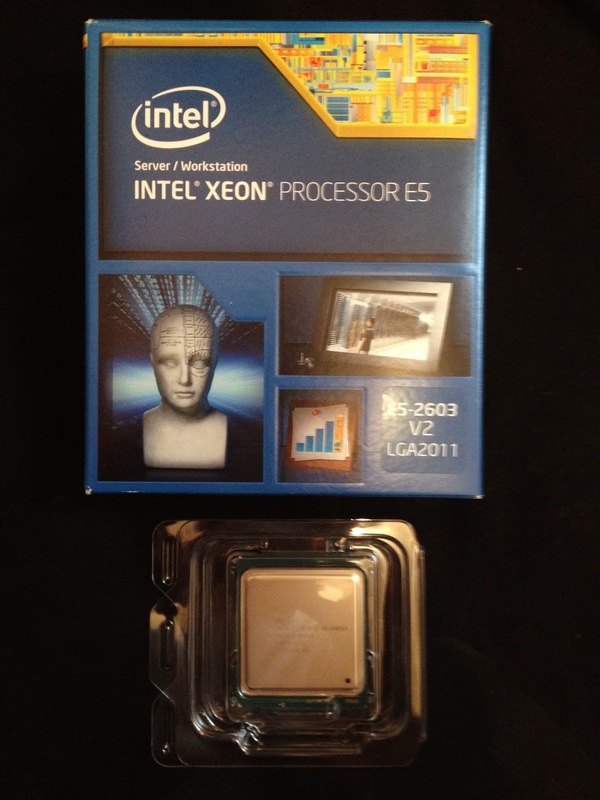 So, I got Intel Xeon E5-2603 v2 Quad-Core of 1.8 Ghz. Something to notice is that this processor does not provide Hyper-Threading, but I’m pretty sure it will make the job done. 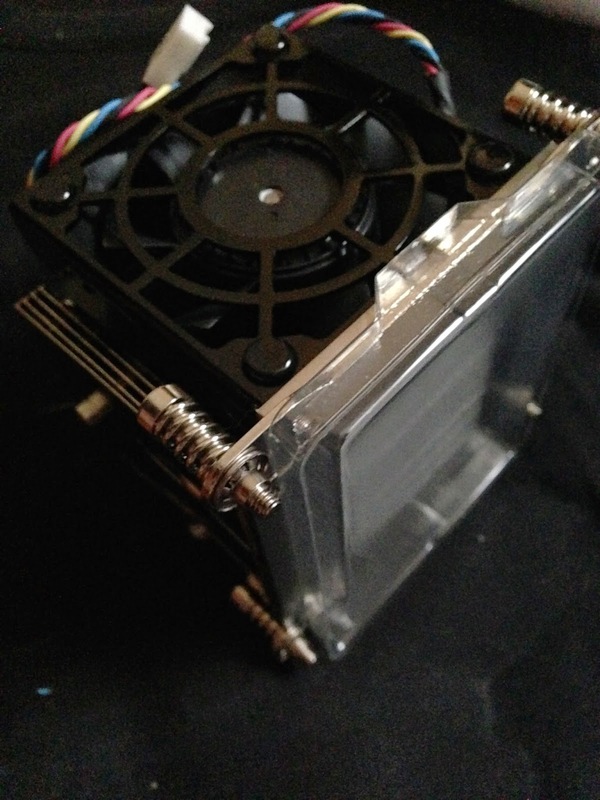 Nothing fancy about the heatsink, just pick-up a compatible one. 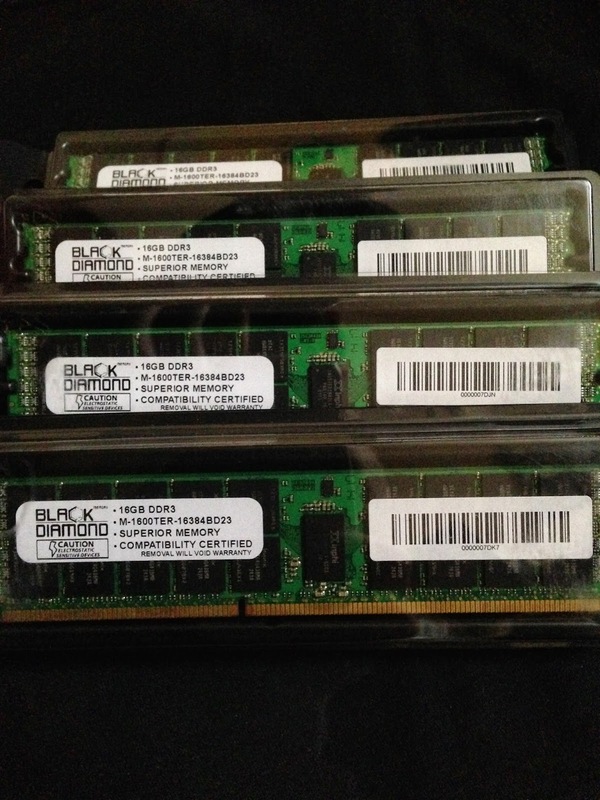 Memory is the most needed resource on a virtual environment, so for my Lab I picked up some 16GB banks of memory from Black Diamond. If you want to reach the full MainBoard capacity, memory price will be insane, I don’t need all of that right now, but it gives the future upgrade option. To feed this baby, you will need a power supply that provides a 24-PIN plus 2x 8-PIN connections, this kind of power supply is a little bit harder to find, but I managed to find out a Zalman ZM850-GVM. 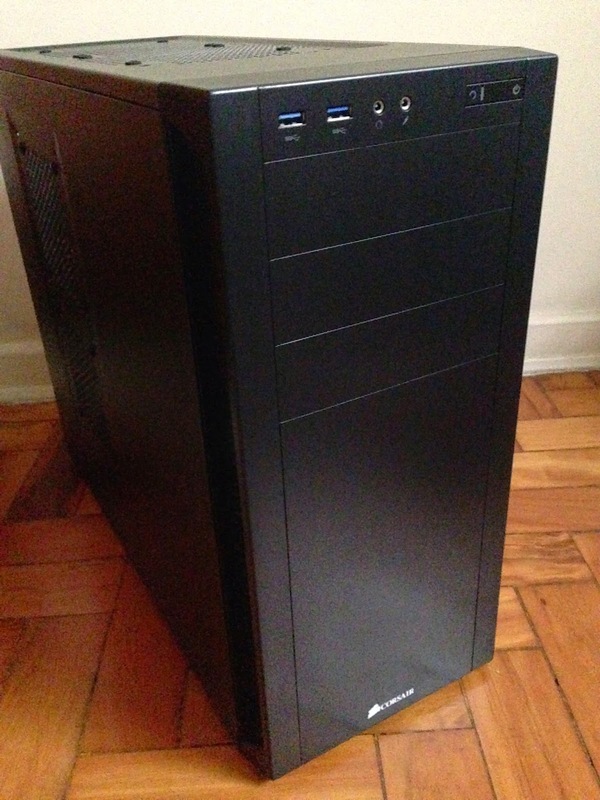 To accommodate all those parts inside I got a Series 2000R Corsair case, that one impressed me by the cooling parts inside, I’m confident it will keep everything cold down there. Last but not least, I need some network connectivity to access all of that, right ?!? 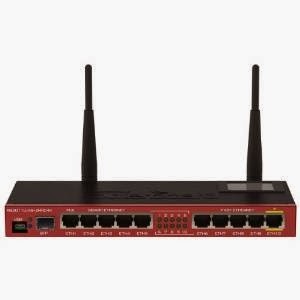 I decided to get a small network switch with WiFi built in, so I can have all in one again. The chosen one was a RB2011UiAS-2HnD-IN from Mikrotik with 4 Giga bit ports available, more than enough for my needs. Now it’s up, running and properly branded !!!! Hi Eduardo. Disregarding my last comment and message to you. Got everything up and running with Supermicro.